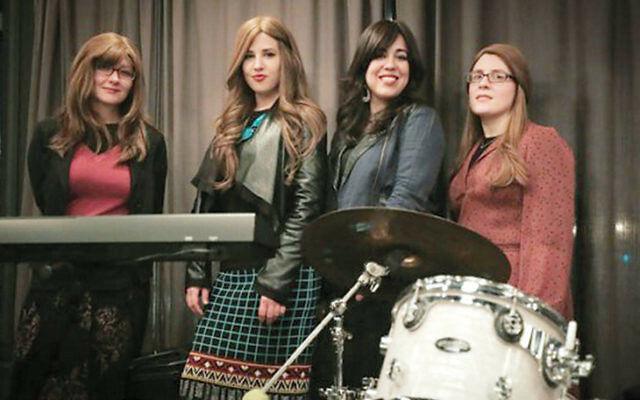 Everyone’s favorite alt-rock chasidic all-woman band is crossing the Hudson (not to mention the East River) for a Chanukah concert and dance party at the Rockland Jewish Community Campus in West Nyack next month. 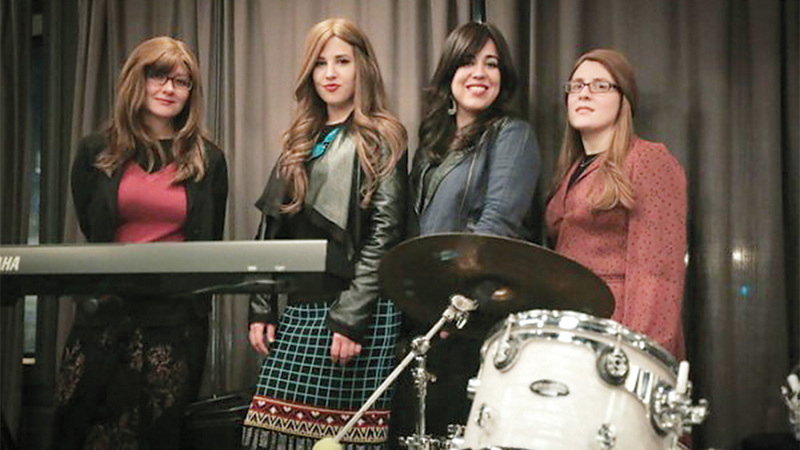 And like all the band’s shows, the December 9 Bulletproof Stockings concert will be women-only, in keeping with the Lubavitcher beliefs of band leaders Perl Wolfe and Dalia Shusterman that it’s sinful for men to listen to women sing, and, by implication, for women to sing in front of men. That certainly is far from the case. The group cares about Judaism, chasidic teachings, and rocking out. Its sound has been compared to Adele, Nina Simone, and Fiona Apple, and its lyrics allude to bad marriages, long subway platform waits, and the quest for redemption. Concerts combine the group’s original numbers with niggunim played by their cello-inflected band. The group released its first four songs in 2012. It is celebrating the release of its first full-length record on December 6 in Manhattan’s Webster Hall. The album is the fruit of a successful Kickstarter drive boosted by New Jersey superstar Regina Spektor and the band will be spending December and January touring the country. The December 9 concert is sponsored by Hillel Rockland. For ticket information, go to BulletproofStockings.Eventbrite.com.